Drive branding and ROI with personalized and data-driven advertising at scale. Drive tangible results with our automation features. Save time and effort, keep your teams lean, and cut down on manual tasks. Simplify your Facebook ad operations with automated prospecting and retargeting campaigns. Launch, clone, and bulk edit campaigns, creatives, and audiences in an instant. Whether you’re creating a simple Instagram promotion, setting up a branding campaign, or launching an extensive A/B-tested performance campaign, our intuitive interface guides you smoothly through the process. Leverage a suite of creative solutions that combine creative automation, ad buying, and creative testing on a single platform. Smartly.io customers can automatically generate video and still creatives to fit all ad formats on Facebook and Instagram, buy the ad space in real time, and test their effectiveness to iterate. The fashion e-commerce Boozt.com saw 23% higher ROI with personalized Instagram creatives. 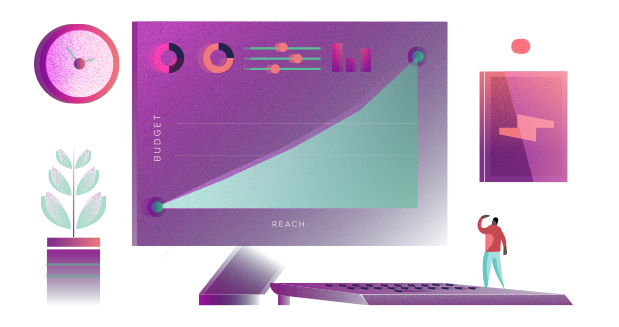 Optimize your campaigns with Smartly.io’s bespoke AI solutions. Fight ad fatigue by automatically refreshing and rotating your creatives. Spend your budgets efficiently with automated features that show the ad in right place at the right time. You can even define your optimization rules with Triggers that take action based on campaign performance. Plug in third party data and optimize towards your business goals such as revenue. Understand what works. In the Smartly.io platform, you can track and analyze results with Actionable Insights that grant you a holistic view of your campaign performance, even across ad accounts. Bring in your analytics data from Google, mobile measurement partners, or other third-party data providers to further enrich your analytics. We are known for our product development speed. As our customer, you'll enjoy first look to the newest ad formats and features before they're available anywhere else – including the Ads Manager. Adopt new ad formats and optimization solutions quickly and effortlessly to drive ROI. We develop the platform closely with our customers; your business needs could even inspire a new product feature. “ Smartly.io has been simply outstanding in our opinion. Their team is very technical, and is updating and adding features very frequently."